Many countries around the world celebrate Republic Day on different days, that marked some important events in their history. For instance, Tunisia celebrates this holiday on July 25 to honor the day, when the National Assembly abolished monarchy in the country and proclaimed it to be the Republic of Tunisia. 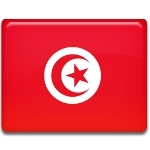 For about a century Tunisia was administered by France. In 1881 the ruler of Tunisia, Muhammad III as-Sadiq, signed a treaty with France. Under the treaty Tunisia officially became the territory protected by France. The country achieved its independence from France only after World War II. In 1956 Habib Bourguiba, Tunisian statesman, led the country to independence from France. This event marked creation of the National Assembly, that made a decision concerning the future political situation in Tunisia. The choice was made in favor of republican form of government in the country. King of Tunisia Muhammad VIII al-Amin (reigned the country from March 20, 1956 to July 25, 1957) abdicated, the Republic of Tunisia was proclaimed. Habib Bourguiba assumed the office as the first President of the Republic of Tunisia.